Centipede grass, originally a native of southeast Asia, is a low-maintenance grass ideally suited to warm and temperate climates. 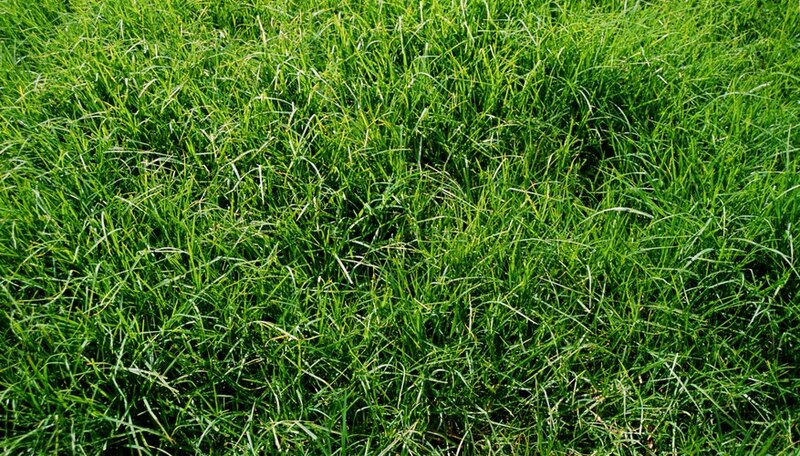 Although this grass is not easily susceptible to disease, it may require a little extra work when planted outside of its ideal conditions of acidic and sandy soil in warm or temperate climates. It's best planted as seed in the late spring or early summer and as sod from the spring to early fall. Centipede grass, according to the Texas A&M University Agriculture Extension site, is a popular choice for lawns across the southeastern states because it is low-maintenance and thrives in low-fertility soil. It does particularly well in sandy and acidic soil (found in southeastern states), but can become iron-deficient in the western states, and will require a fertilizer containing iron. Outside of its ideal southeastern climate, centipede grass may be more susceptible to disease and pest infection, but following proper lawn care procedures like fertilizing, watering and mowing should help the grass flourish. Centipede grass is not suited for the colder temperatures of the northern states and will die in those conditions. According to the University of Arkansas Agriculture Extension site, the ideal months for planting centipede grass seed are May through July, with June being the ideal month for seeding. Centipede grass is best suited for warm and temperate climates, so to encourage a good yield, the warmer months are a good time for seeding. The University of Arkansas Agriculture Extension site recommends sodding as early as February and as late as December (if you live in a very warm area). Between April and September are the ideal months to put down sod, because the ground and air temperatures are warm enough to encourage healthy root growth. The ideal temperatures for seeding and sodding centipede grass are at 70-plus degrees Fahrenheit, with no threat of frost or extreme chills overnight (these will kill the grass). Although it is best to plant centipede grass when the weather is warm, SeedLand.com Grass Nursery explains a somewhat risky process called "dormant winter seeding" for centipede grass. With this process, you wait for the temperatures to cool down to about 60 to 65 degrees Fahrenheit with no chance of warming up, and then you plant the seeds. The idea is that the seeds will lie dormant until springtime, and then begin growing when the temperature is warm enough. This procedure might work in the warmest areas of the country, but otherwise may not produce a good crop.